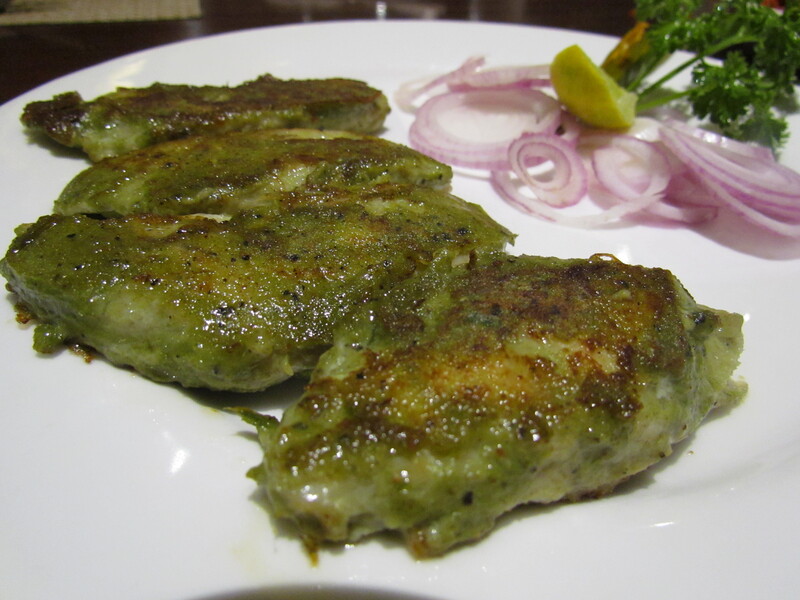 This post is on a limited period Anglo Indian food festival held at Oh Calcutta, Gurgaon during February 2015. 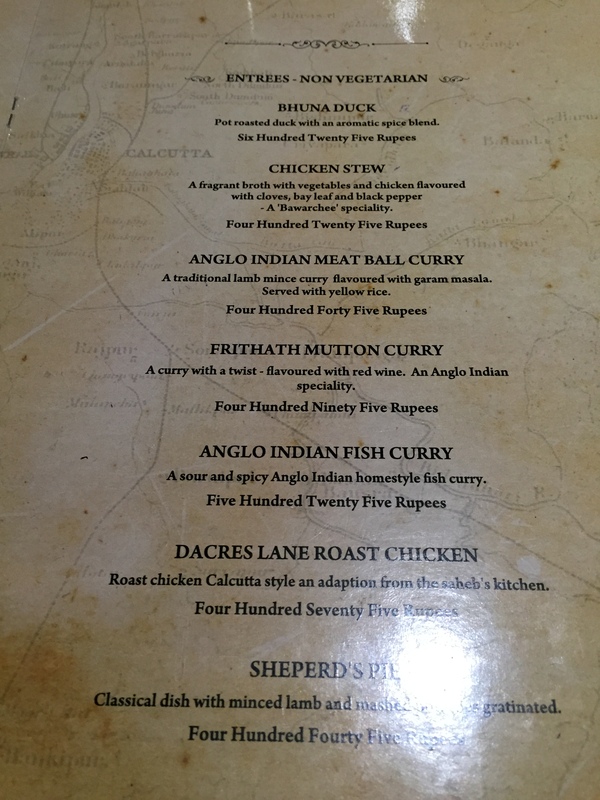 Apologize to my foodie friends for posting it 2 months later – u cant just go to Oh Calcutta & order it now if u find the post interesting. Hope they re-do the event & u can try it out next time. Super loved this one time festival earlier in Feb this year & hope that they relaunch the festival – Look forward to trying more dishes. 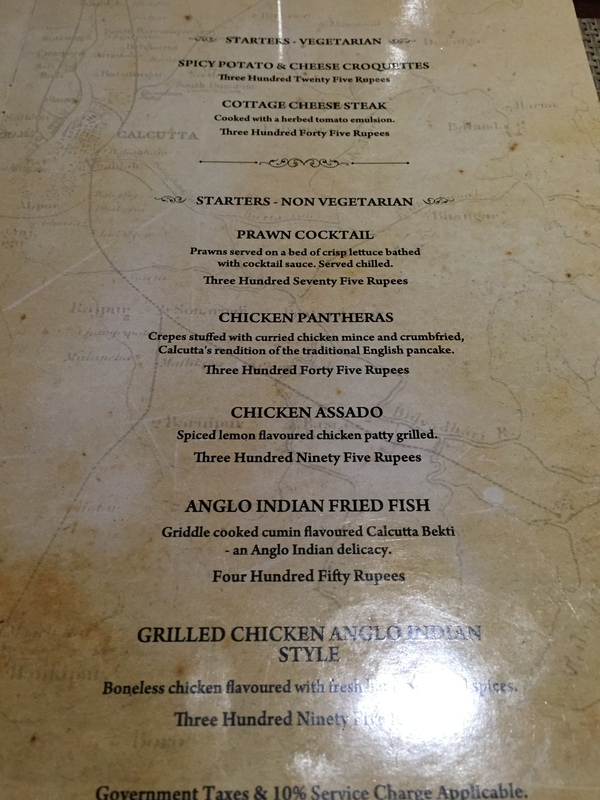 For those who need a context – this cuisine was formed during the years of British raj – fusion of British food and local Indian food. 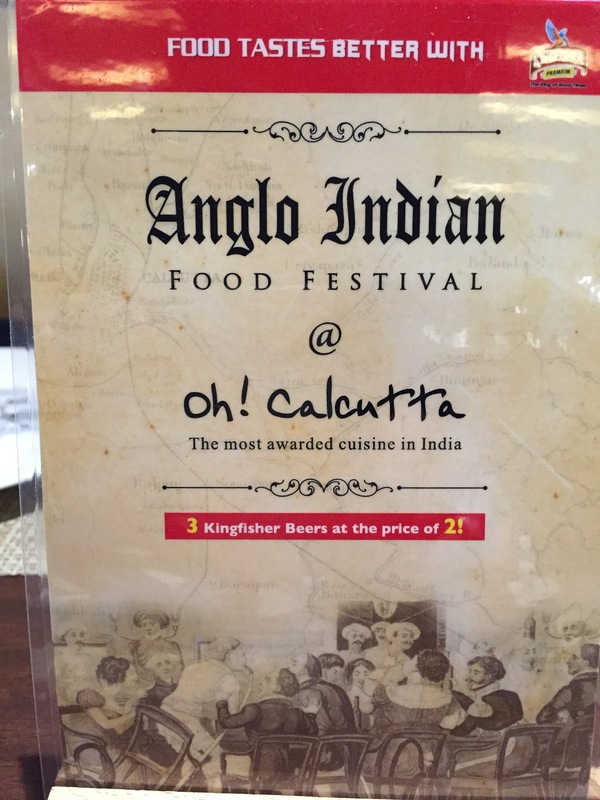 Anglo Indian food festival at Oh Calcutta seemed to have become quite popular. 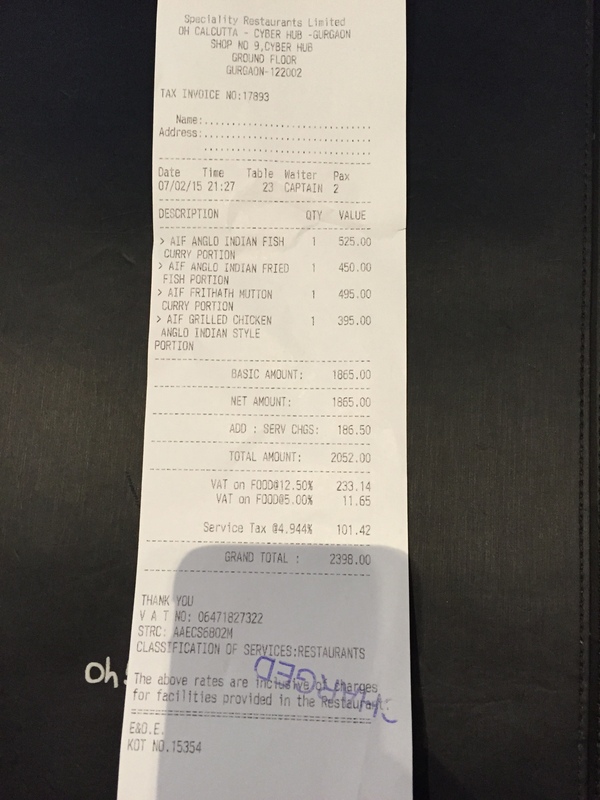 We tried ordering quite a few dishes & among them 3 very interesting ones were sold out by lunch time – the restaurant Manager said that those dishes had sold way better than they cud even imagine. This included Bhuna Duck (Pot roasted duck wih an aromatic spice blend), Shepherd’s pie (Classical dish with minced lamb, mashed potato etc), Memsahib’s grilled prawns (flavored with mustard & black pepper). The menu card for this festival was pretty good to read. It had the name of the dish and well explained descriptions with them. 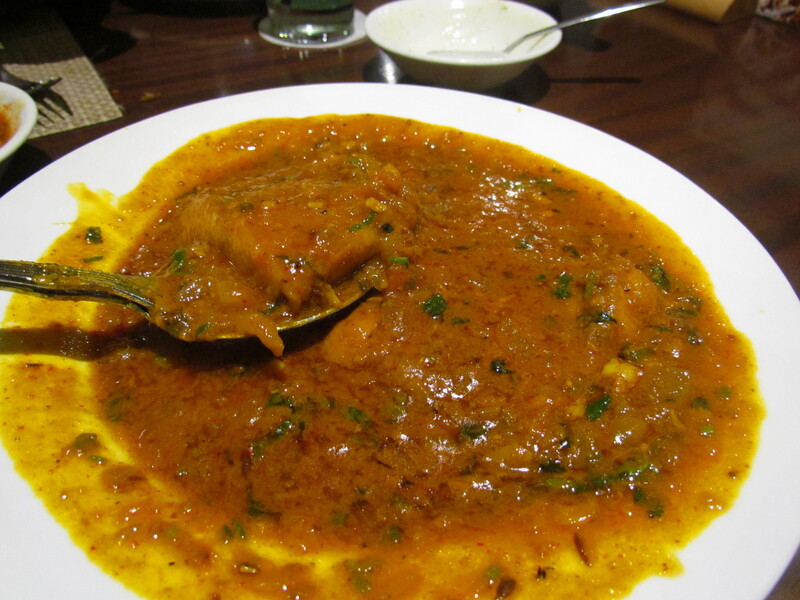 B4 we started our dinner 3 small bowls arrived on the table – kasundi, a tomato salsa kind of dish & a dahi based dip. 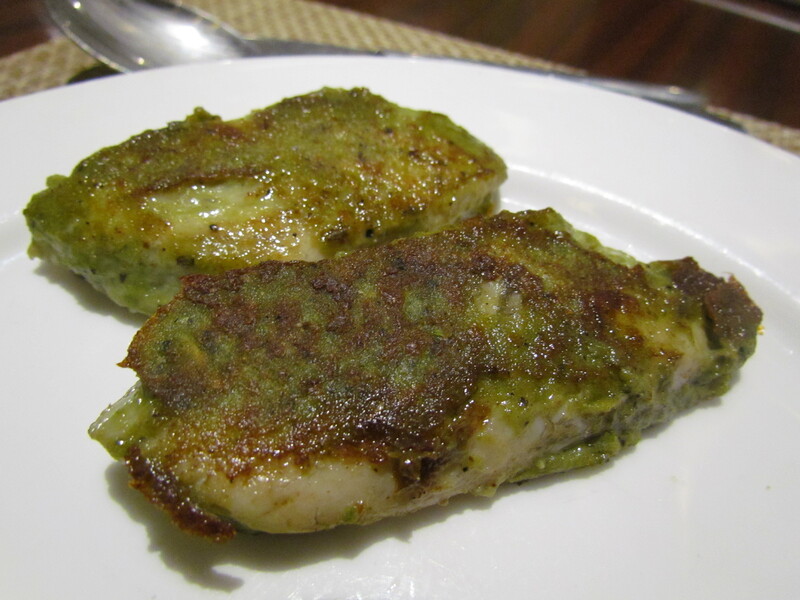 The kasundi (mustard based sauce / dip) cud compete with Japanese Wasabi in terms of its pungency. Within seconds of this landing on the tongue we cud feel the attack on the sinuses. 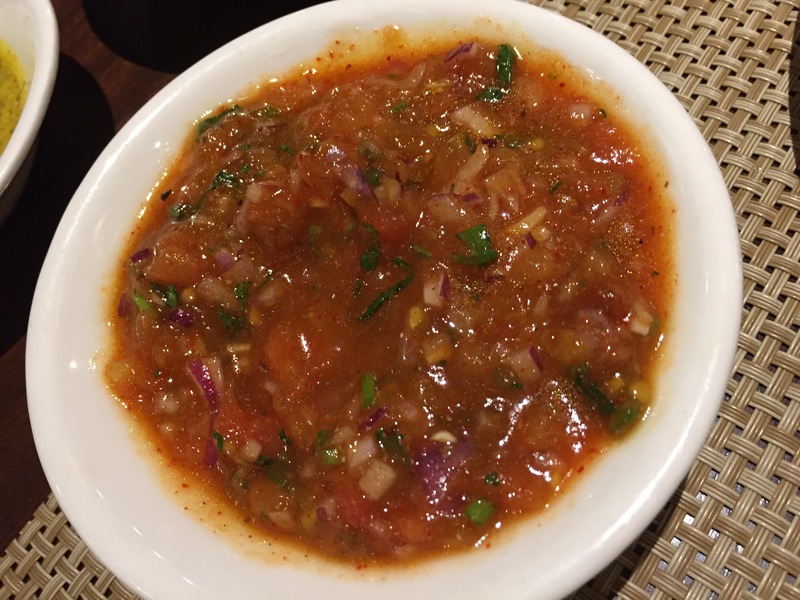 The tomato dip was hot, chatpata, not tomatoeeee & just too good. 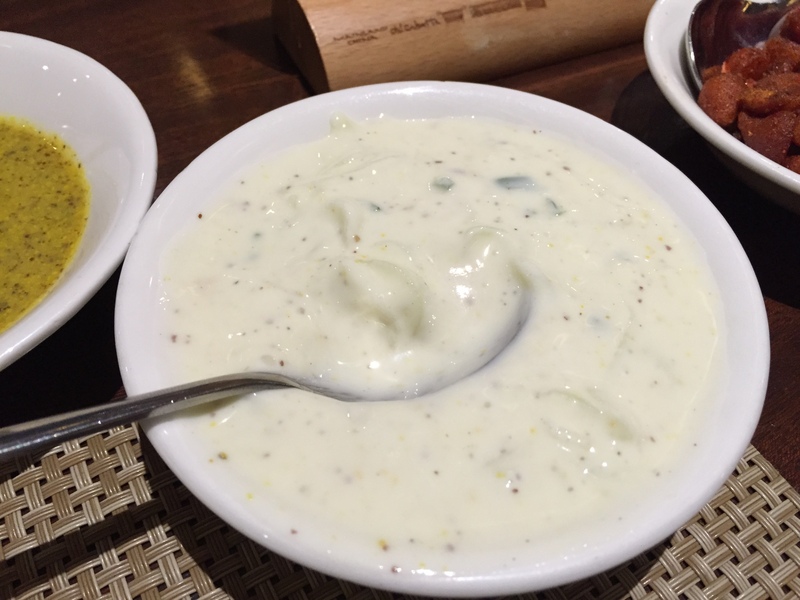 The dahi based dip was quite good – intense, thick & YUMM. 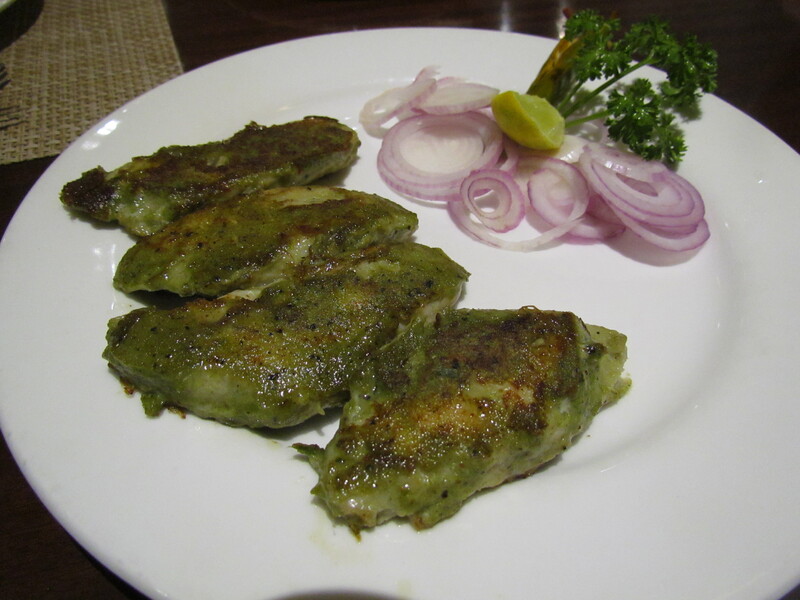 We started our evening with Anglo Indian fish fry – main difference wish fish dishes available in gurgaon almost everyone serves basa. 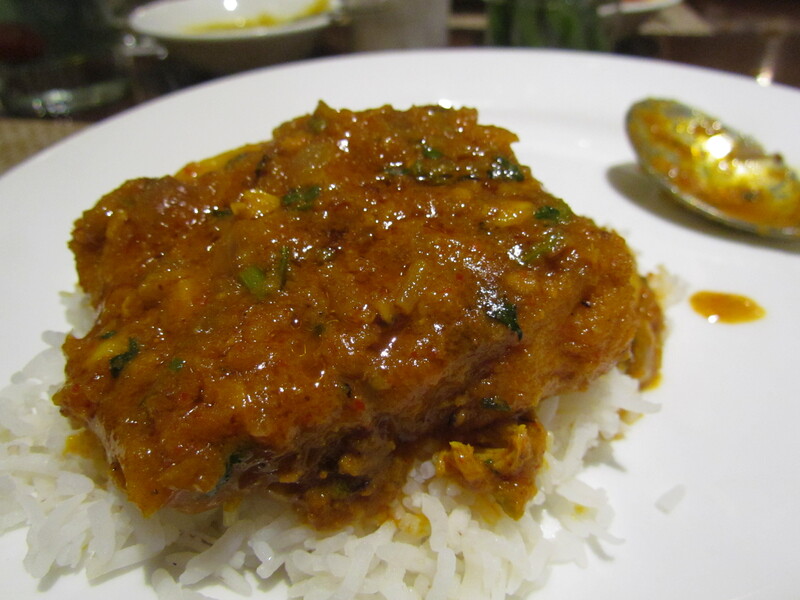 Here at Oh Calcutta you get bhetki. 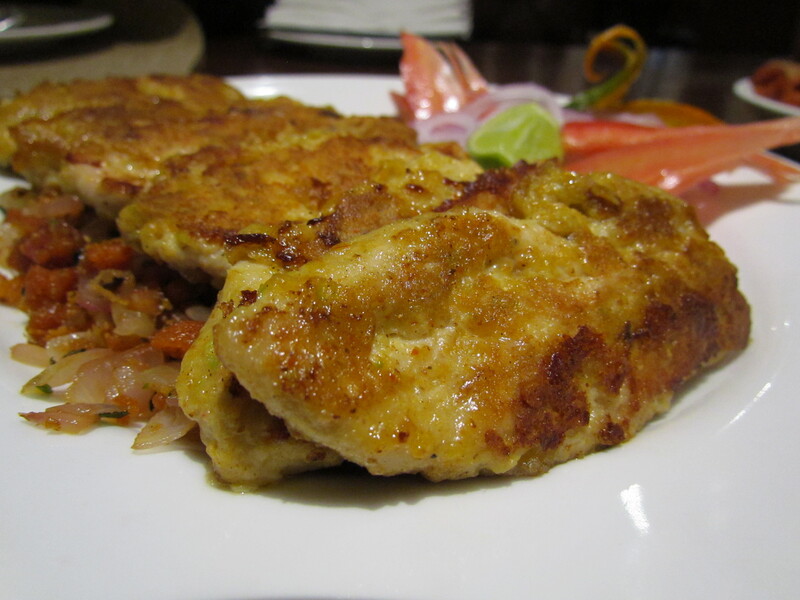 The fish was soft, flaky, slightly juicy and bursting with flavour. The marination was awesome too. It was not hot on the face but had a strong hot aftertaste. Loved that. 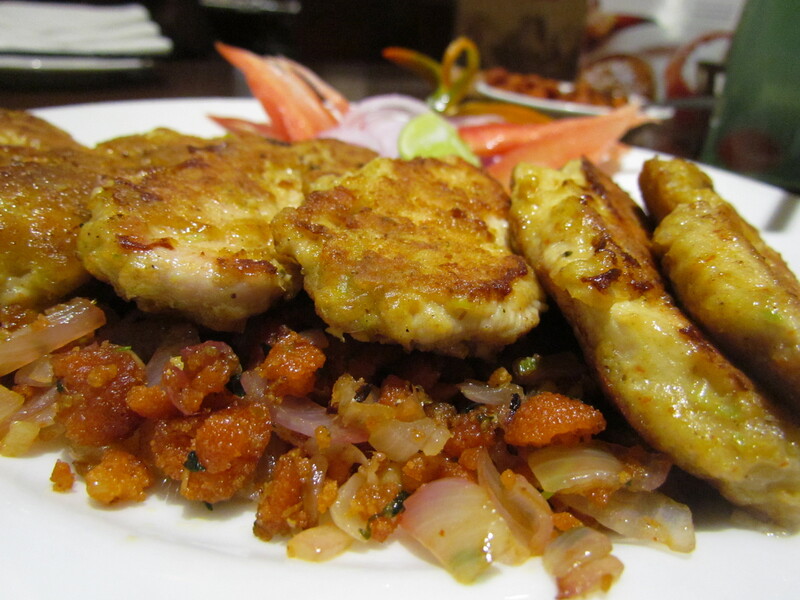 The next dish that we ordered was Anglo Indian Grilled Chicken – not on our own but the Manager insisted. 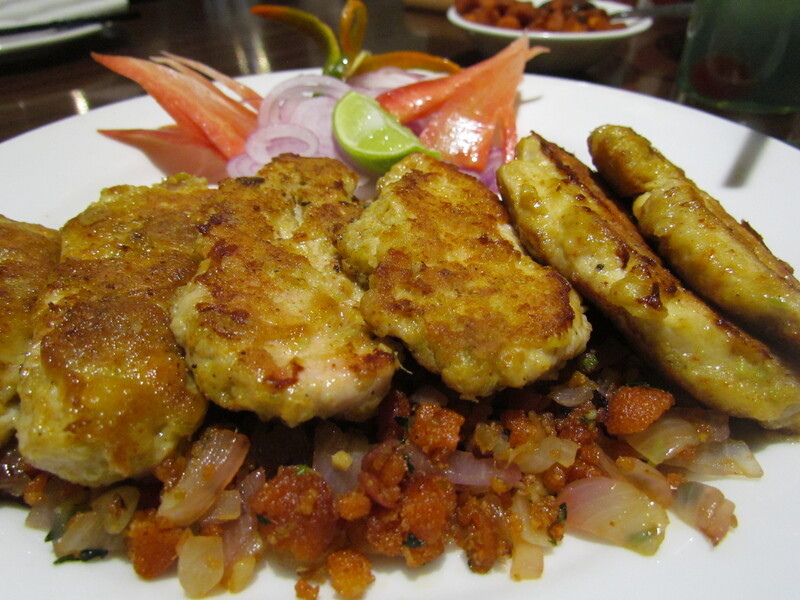 This chicken dish not just impressed me but also made me feel happy about the fact that I tried it on the recommendation of the restaurant manager. 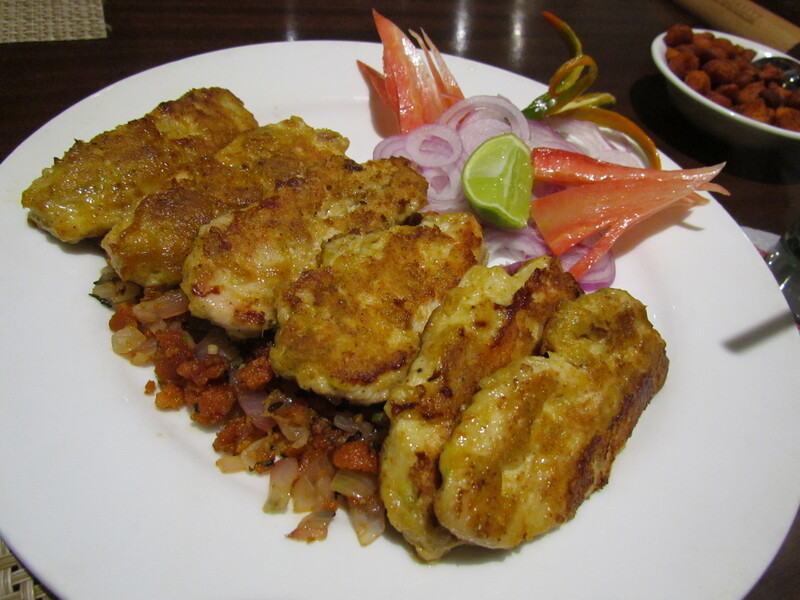 The chicken pieces were placed on a bed of bori (vadi in Hindi – lentil paste dried and then deep fried) , onions, chilly, coriander leaves etc. It was chatpata and nice. 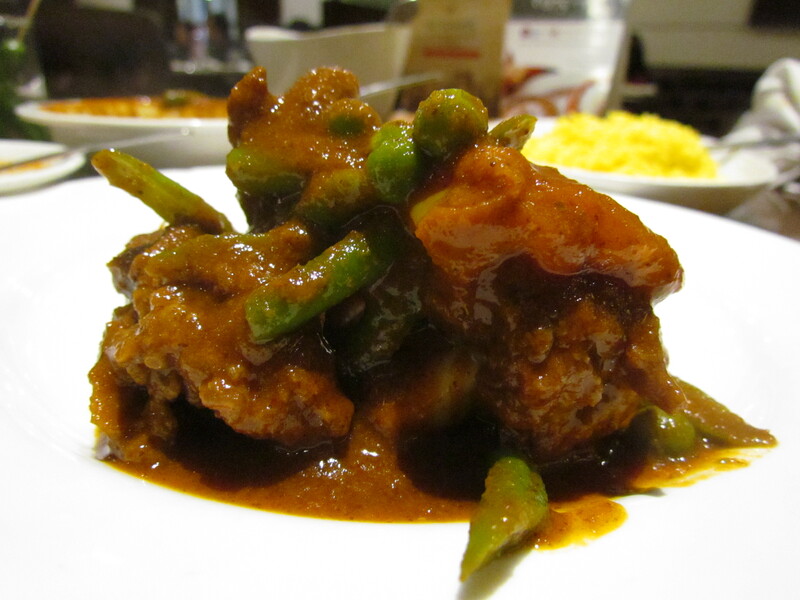 The pieces were super soft, unbelievably juicy and had imbibed the subtle flavours of spices. The meat was fresh and YUMM to eat. Burnt edges made it taste even better. 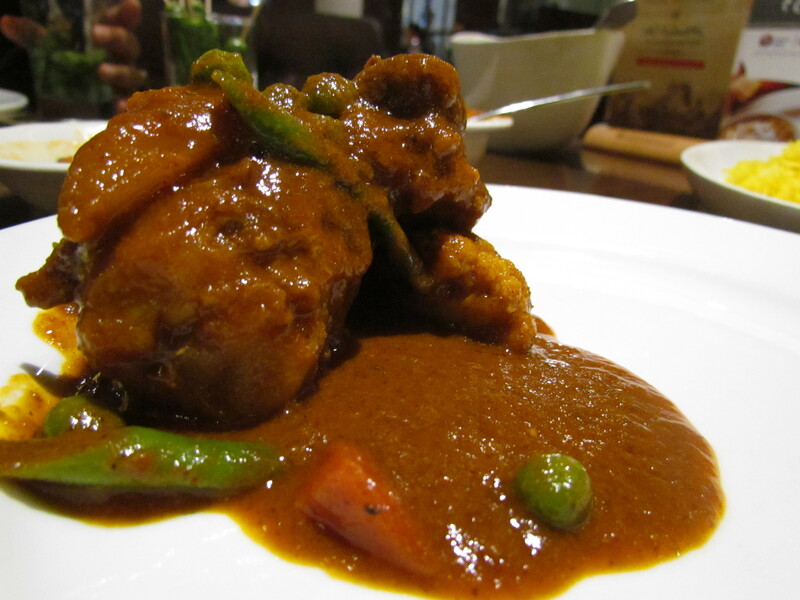 The Third dish we had was Anglo Indian fish curry. 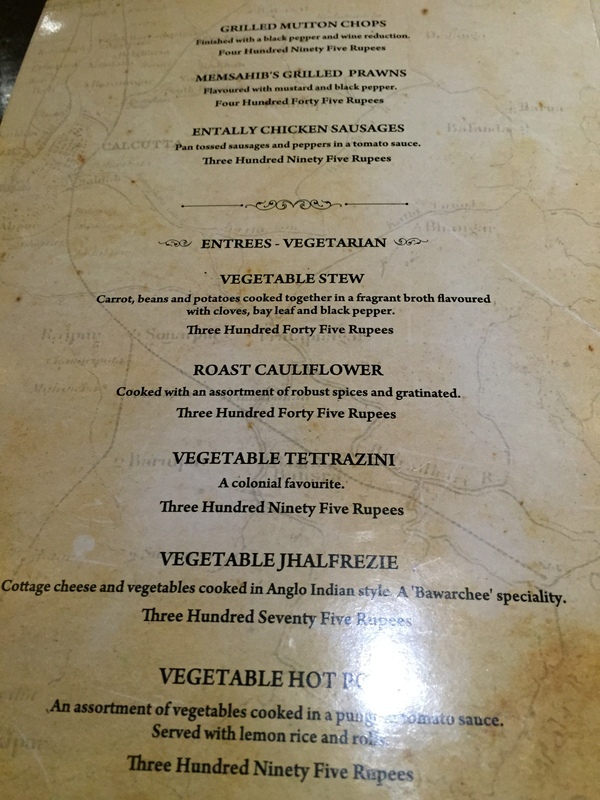 The menu card mentioned ‘sour’ as one of the tastes. So I asked the waiting staff and was told it has tamarind as souring agent. That sounded interesting and hence we ordered the dish. The dish came and it looked very appealing. Two pieces of fish in a Bowl full of gravy. The tamarind did not make its presence felt though there was a faint element of sour. Spices drummed up their presence. Gravy was thick and tasty. 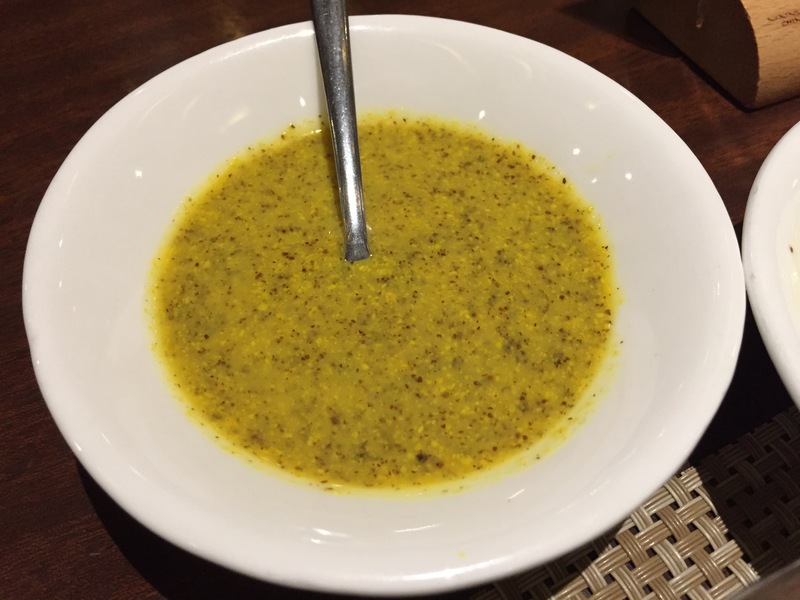 Rate the gravy 4/5. 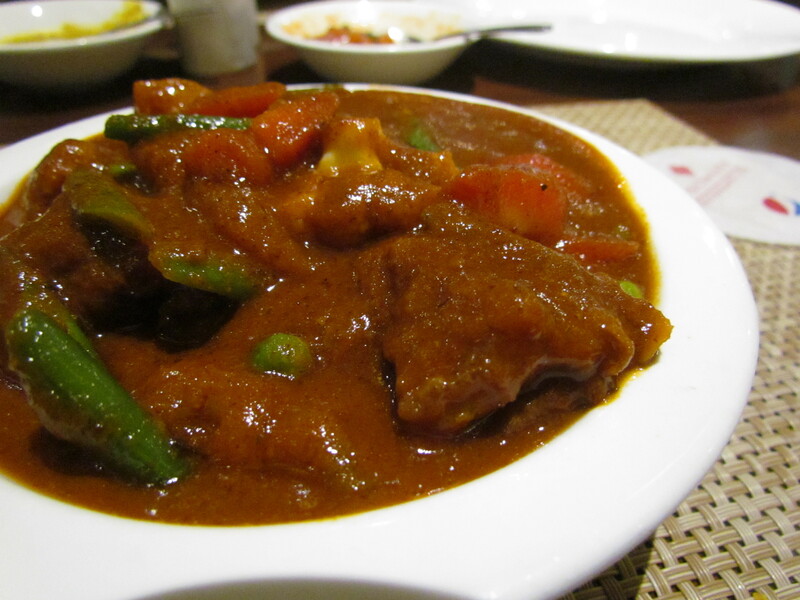 The last dish that evening was Frithath Mutton Curry (Anglo Indian meat curry). Wow. The base had wine reduction, the gravy was thick and very YUMM. Full of flavours. 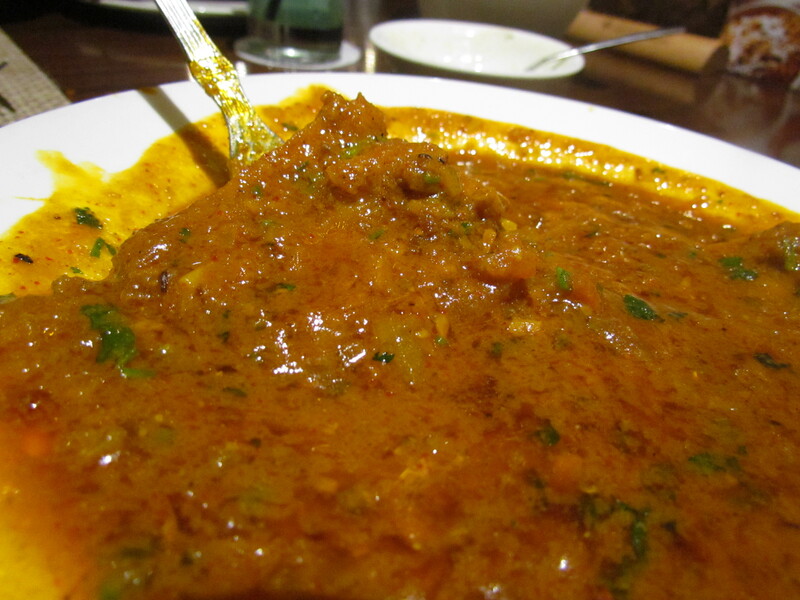 There were chunks of veggies all of which were crunchy and very different from the usual texture of veggies in an Indian curry. The meat was absurdly soft and excellent to taste. We were in a state of wow shock. It was as if someone hit a sixer on the last ball (leading to a win) and the ball went straight over the boundaries of the stadium and landed up in the bowl of a guy eating cholay bhature outside the stadium……. !!!!!!! Overall rating of food at Anglo Indian festival averages out to 4.5/5. Hope they relaunch this festival – look forward to try out the other dishes.